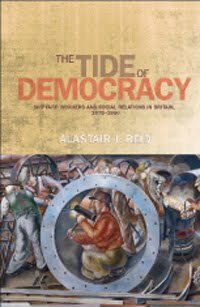 Newly released The tide of democracy is a detailed account of British shipbuilding between 1870 and 1950. The title includes highly original detailed studies of the impact of new machinery on skills, the significance of rank-and-file movements within trade unions, and the role of craft unions in the early Labour Party. Anyone interested in shipyard workers, or simply enthusiasts in Modern British Social and Economic History should visit a new exhibtion at Chatham Historic Dockyard in Kent. A series of paintings by artist Stanley Spencer, commissioned to record the World War II effort, have gone on display for the first time since a full-scale restoration. Check out details of the exhibition.